London: Lira traders got a reminder Monday that political risk is never far from the surface in Turkey after a call by President Recep Tayyip Erdogan for a vote recount in the nation’s biggest city sent the currency to a two-week low. After originally appearing to accept the results of the March 31 municipal ballot, Erdogan is now alleging “widespread irregularities” and “organised” fraud in Istanbul, the city where he made his political career as mayor a quarter of a century ago. 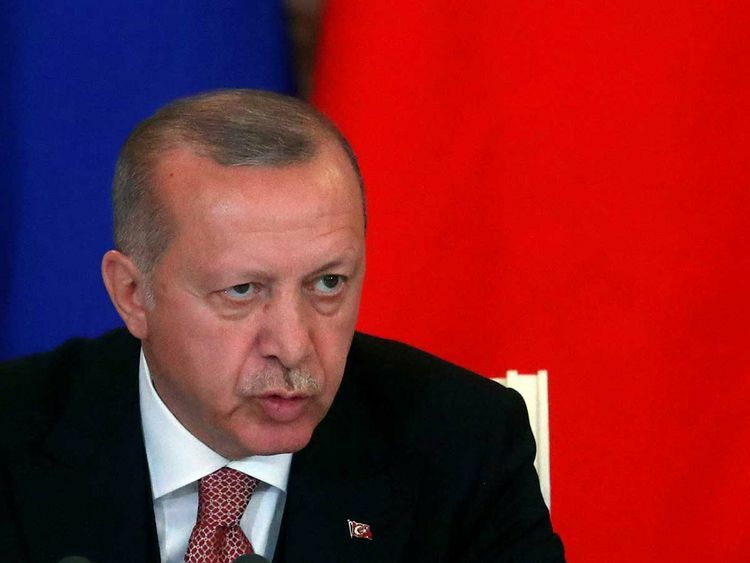 “Given the huge economic challenges, this is the last thing Turkey needs at this stage,” Tim Ash, senior strategist at BlueBay Asset Management LLP in London, said by email, referring to Erdogan’s comments disputing the vote count for Istanbul. Erdogan and the financial markets have history. In August of last year, his through-the-looking-glass views on monetary policy fused with toxic geopolitics to trigger a currency rout that reverberated across emerging markets. Fearing a rerun of that slump two weeks ago after foreign reserves tumbled, the government curbed traders’ ability to short the currency. The restrictions hammered investor faith in Turkey’s markets and investors took flight Monday after Erdogan’s comments, a move exacerbated by the central bank’s decision to undo the emergency tightening announced two weeks ago. The lira sank as much as 1.8 per cent to its weakest level on an intraday basis since March 25. Ten-year yields rose to the highest in a week and five-year credit default swaps rose above 400 basis points. After recovering more than 5 per cent last week, the Borsa Istanbul benchmark stock index sank for the first time in four days. Turkey’s ruling party lost its hold over many of the nation’s urban centres in the local vote, including the capital, Ankara. Both the opposition and ruling party candidates claim they won the election in Istanbul, which has been controlled by Erdogan’s allies since 1994. Traders are also anxious that Turkish assets may face further losses if Erdogan presses ahead with buying a Russian S-400 air-defence system, despite intense opposition from the US, according to Cristian Maggio, the London-based head of emerging-market strategy at TD Securities. “Erdogan comments are not good for markets,” Maggio said.